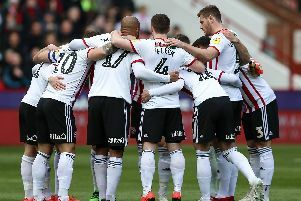 Sheffield United: What does the ‘Adkins Experience’ teach us? Eleven months after being hailed as Sheffield United’s saviour, Nigel Adkins yesterday became the latest manager to leave Bramall Lane with little to show for his efforts except a P45 and nagging sense of what might have been. The 51-year-old’s departure was confirmed in a brief 121 word statement published on the club’s official website. A sad but wholly predictable outcome given recent results and disconnect between supporters and the team. Adkins must take his share of responsibility for United’s failings last season as a squad, which began the campaign as title favourites, instead finished mid-table in League One. Despite a superb CV, too many of his signings struggled. On occasion, it appeared science was taking precedence over sport. But Bramall Lane’s hierarchy will be making a grave mistake if they think all of the blame can be laid at the former Scunthorpe, Southampton and Reading chief’s door. Chris Wilder, Adkins’ replacement, thankfully has the skill set and temperament required to put United back on track. His arrival suggests they acknowledge as much. Danny Wilson, David Weir and Nigel Clough are all experienced and capable operators. All possess different personalities, methods and ideas. And all, after being sacked by United, are again impressing elsewhere. Co-owners Kevin McCabe and HRH Prince Abdullah Bin Mosaad Abdulaziz Al Saud have provided financial backing as a glance at the wage bill confirms. But, in the absence of a clearly defined sporting strategy, they have been unable to offer a solid framework within which to work. United are not shy of changing staff. The same, unfortunately, can also be said of systems. Clough, whose Burton Albion side finished nine places and 19 points higher in the table, harboured no personal animosity towards his successor. But, angered by one former director’s comments about their respective merits soon after Adkins was installed, is likely to have greeted yesterday’s news with a degree of schadenfreude. And then continued celebrating promotion to the Championship. Wilder, the 11th person charged with leading this great but under-performing club since May 2007, has all the tools required to transform its fortunes. The type of personality required to connect with supporters, a detailed knowledge of the lower leagues and, most of all, the drive and desire to put the swagger back into an institution which has been decidedly downbeat of late. Together with his assistant Alan Knill, they will demand United demonstrate the same work ethic which led Northampton Town to the League Two title last season. The same togetherness which enabled them to defy the odds and severe financial difficulties to foster a superb spirit behind the scenes at Sixfields. Shirkers will not be tolerated. Slackers shown the door. Wilder possesses a sharp footballing brain. Crucially, he also ‘gets’ the club having grown-up following United before representing them as a player. Adkins was described as the board’s “unanimous” choice to replace Clough at the helm when he was first presented to the media in June. It must be remembered, before history is rewritten, that he was very much the peoples’ choice too. Yet, nearly 50 weeks and 54 matches later, Adkins has been told to clear his desk after failing to replicate the results he achieved at St Mary’s and Glanford Park. Why? The answers can probably be found inside United’s training complex and, 190 miles away, at the Madejski Stadium where he also struggled to impress. Yes, Adkins’ catchphrases and buzzwords might have frustrated. Particularly when a good old fashioned b********g seemed to be required although, curiously, Clough was admonished for doing exactly that whenever performances went awry. But, as his CV demonstrates, Adkins is more than capable individual. Promotions were delivered, on four separate occasions, during spells with Scunthorpe and Southampton. Two stable football clubs where, unlike his previous two postings, managers simply manage. Not waste valuable energy trying to address a whole host of problems, both structural and squad related, behind the scenes. Adkins made mistakes during his reign in South Yorkshire. He should consider whether it was wise to be quite so forgiving of flawed characters and accommodating of players whose careers are on a downward rather than an upward curve. Adkins was also impervious to the mood on the terraces. Dangerously so at times. His relentless positivity is admirable. Sometimes, though, is simply created more problems than it solved. Especially in PR terms. Nevertheless, given Adkins’ apparent suitability for the job, there are lessons for United to learn as well. Appointing Wilder confirms they acknowledge as much. Because he ticks all the boxes and appears a perfect fit.